Camouflage Cushion cross stitch pattern... 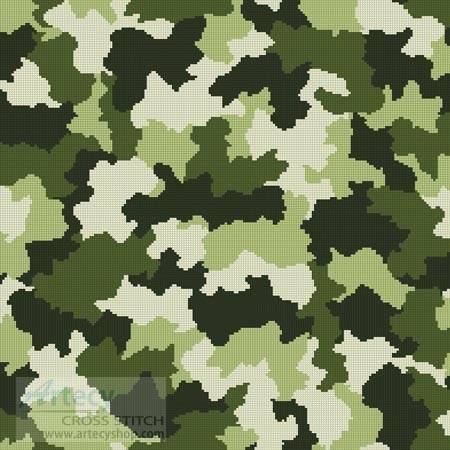 This counted cross stitch pattern of a Camouflage design would look good as a cushion or wall hanging, it was created from artwork copyright of JRB - Fotolia. Only full cross stitches are used in this pattern. It is a black and white symbol pattern.